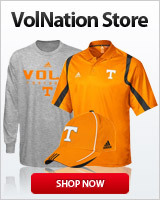 Craziest place you’ve heard a “Go Vols”? November 2011. Around the 17th or so. Un-freaking-REAL. It's too much of a coincidence, for it not to be the two of us greeting each other. We were there at the same time, same week, same place... I always use the excuse of KY beating Tenn in football was because I was out of the country. One of my favorite places in the world. Been there several times. It's very surreal standing there, isn't it? My wife and I were there with a group from our church. We spent 4 days in Jerusalem at the end. Awesome trip. Go Vols!! Watched the Vols fall to Rutgers at the American embassy, Tehran, Iran. November 3, 1979. No chit. As in the day before? I take it you weren’t there the next day when it all went down? Was there, but not on the compound at the time. Good enough. Glad you didn't get caught up in the ugly. I once said it to a dude in the men's room. but he just stared back at me kinda with a shocked expression and didn't utter a word. just left the bathroom. didn't even wash his hands. weird. I gave a “Go Vols” to a guy wearing UT gear in a Manhattan restaurant. He just gave me a weird look and didnt reciprocate. There were a lot of Vol fans at a Broncos game in Denver that I went to a few years ago. Saw a guy in St. Peter’s Basilica in the Vatican wearing a polo with a Power T on it. Wish I would have yelled to him from across the room. I work in WVU’s hospital. I often see fellow Vol fans there. A street in el centro in the mountains of Ecuador. I was wearing a Tennessee jacket at the time. Went to watch the PGA at the Valspar a couple weeks ago and wore a Vols hat...got probably 2 dozen “Go Vols” throughout the day. Riding Ski Lift in Big Sky Montana and then riding Ski Lift in Brighton Utah. Met the guys in Big Sky and he told me that he had taken the previous day off and fished the Gallatin River. Said he caught fish until he was tired of casting.....I took the fam to a museum on the day off. Life isn't fair! Massage parlor in Jupiter Fla.
San Juan, PR airport. Hadn't been off the plane 10 minutes and heard it. I wear a UT polo most times when I fly. St Lazare train station in Paris, on a street when I was running in Songkhla, Thailand and once more in Seoul, Korea. Great memories! And they were probably all large trout. World class fishing out there. Heard one in a restaurant in Pecos, TX on Thursday as I was on my way through town to Big Bend National Park. Had on my UT Alumni shirt supporting or B-ball Vols and a woman in line at the cash register called me out. Said she lived in TN since the early 70's and had been a fan ever since. Unfortunately her husband was a Bummer. Sorry for the double post. As you can tell I don't do this often, and I'm trying to do this on my phone while my wife's blasting along on I-10. Trying to correct the auto-correct in my post that changed my "Bammer" to "Bummer." Of course that's appropriate as well. As for the original topic and in a similar vein the best one for me was living in London in the late 90s and taking my family to Disneyland Paris for a European Council Cub Scout weekend. Walked into their version of the Country Jamboree after the show had started, but just in time to hear the cast break into Rocky Top - in both French and English. The back of your moms ‘95 Chevy Astro Van. Yeeeee Yee!